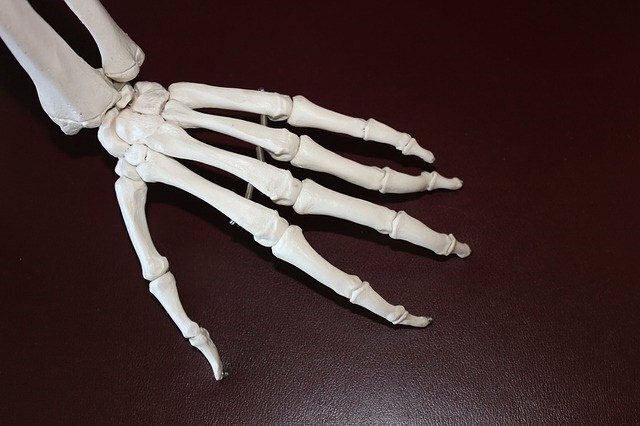 Arthritis is a common disease affecting millions of Americans and hundreds of thousands of new cases are identified each year in the United States. When you are suffering from arthritis, it quickly becomes clear that it’s not just joints that are affected. RA can also cause severe fatigue, fevers, weight loss, anemia, in addition to causing additional problems throughout the major organs (like lungs, heart and kidneys). Sufferers often experience dry mouth, dry eyes, shortness of breath, damaged nerves, malaise, and small skin lumps, just to name a few. So, how do you get relief? 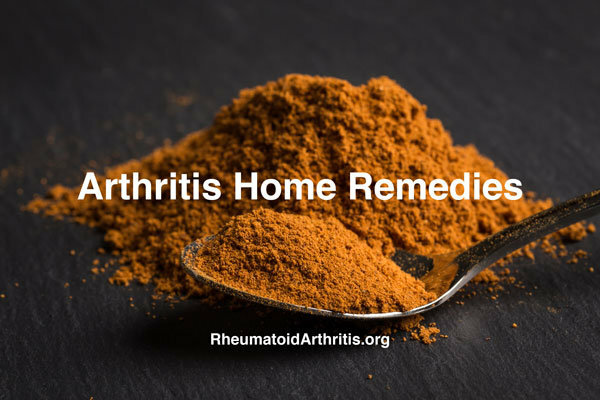 If you would prefer not to take prescription medications nor undergo surgery, there are several natural home remedies that have some reported rates of success in treating symptoms of RA. Want to know what’s so great about these methods, in addition to getting some relief from your symptoms? The products used in these natural remedies are very easy to find. The following seven treatments are the most common homeopathic remedies. Bear in mind that response to these remedies will be different for each individual as the disease presents and progresses differently in each individual. Make sure to discuss with your doctor any home remedies that you are considering as they may interact with your body and prescription medications in ways that you did not realize. Which ones are the best and which ones are just so-so? We’ve researched them, tested them, and have the results below. Before we go in depth, let’s cover the basics. What is causing your joint pain? RA is an autoimmune disorder. Autoimmune disorders result from your immune system mistaking your normal cells for foreign cells and attacking/destroying them. When your immune system attacks the lining of the membrane surrounding your joints (synovium), inflammation occurs. The constant inflammation of the synovium thickens the membrane lining and wears away the cartilage and bone in your joints, causing the physical pain you experience. The tricky thing about RA is that doctors are still unsure of what the underlying cause is. While genetics seem to be a contributing factor, the baffling mystery is that the majority of people suffering from RA have no family history of it. What other risk factors may increase your likelihood of experiencing RA? * Gender: Women are much more likely to suffer from this autoimmune disorder. * Weight: Overweight individuals are more prone to developing RA. * Smoking: If you smoke, you are more likely to develop RA, and if you develop it, your symptoms may be more pronounced than those who do not smoke. * Environment: Certain environmental exposures have been found to elevate your risk of RA, including exposure to asbestos and silica. 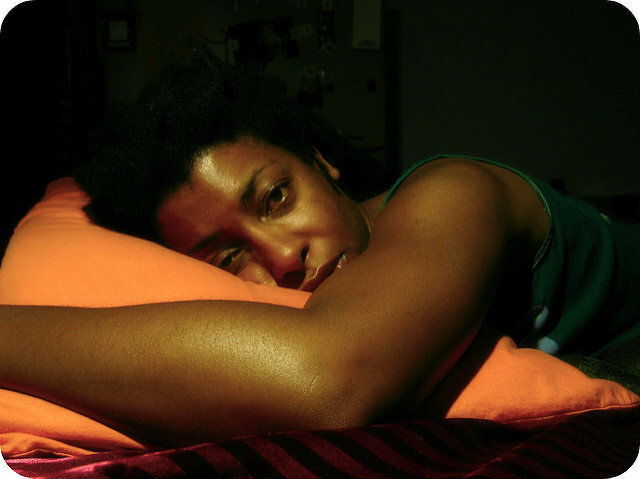 Even though RA is not life threatening, you will feel pretty miserable. And that’s no way to live your life. You’ll be searching for relief and relief that works. More and more people are moving toward homeopathic treatments instead of relying on overpriced prescription medications and costly surgeries – many of which individuals, especially those without insurance, cannot afford. Not only that, many people are becoming wary of putting so many manufactured chemicals in their bodies on a regular basis. It seems like everything we ingest nowadays is somehow engineered instead of natural. Perhaps returning to nature is a better alternative than the usual go-to treatments. We’ll discuss the use and effectiveness of seven natural remedies for RA. We’ll also share what our research has found as far as success rates go. Proponents of cinnamon in alleviating symptoms of RA contribute its healing powers to the anti-inflammatory qualities of cinnamon bark. In addition, cinnamon is noted to help with aches and pains, especially when they are worse with cold or cold weather. The Problem? 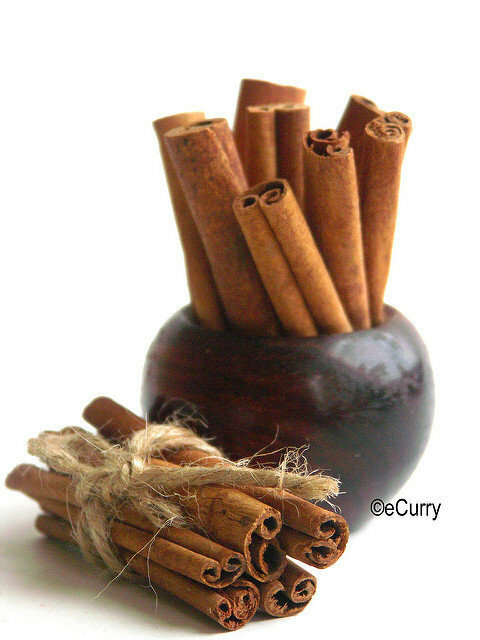 Cinnamon in large doses can be detrimental to your health. In addition, cinnamon has been found to have potential harmful effects to pregnant women and may negatively react with your body’s natural blood clotting as well as interacts with any blood thinning medications you are taking. The Verdict? Essentially, the major problem with cinnamon is the dosage. You need a high enough dose to counteract the symptoms of RA, but not so high that you harm your health. Results of our research show that there has been limited success in the use of cinnamon to treat RA. Getting the quantity right is just too cumbersome with this natural remedy. Willow bark, as the name quite literally says, is the bark off of willow trees. 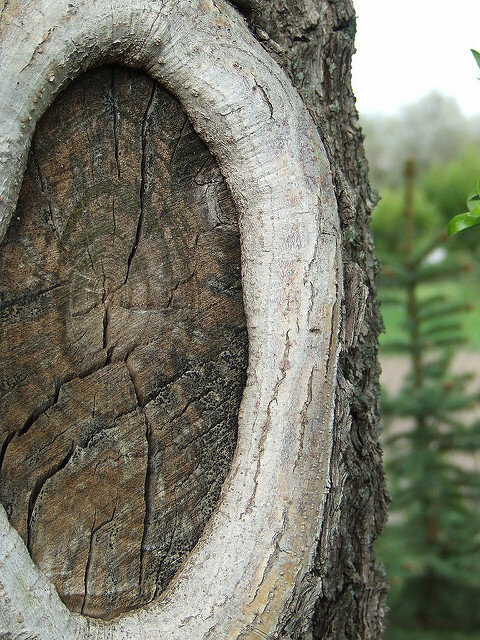 This bark has been found to have anti-inflammatory properties which assist with pain relief. In fact, it has very similar qualities to everyday aspirin. The Problem? The active ingredient in willow bark, a chemical called salicin, can be fatal in large doses, as it shuts down the kidneys. Fun fact of the day: salicin overdose is what killed Beethoven. It’s making me sneeze just thinking about it. 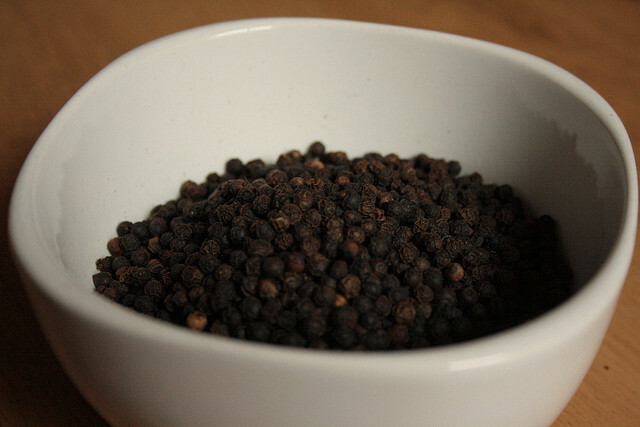 Black pepper has long been known to aid in pain relief and swelling reduction. You may have heard of capsaicin? Well, that’s the key ingredient in black pepper that’s thought to give RA relief. Capsaicin appears in many over the counter creams and lotions – most often associated with anti-inflammatory medications. The Problem? As is typical of most creams and lotions, the relief is only temporary and needs to be used frequently to maintain pain relief. The Verdict? Our studies have shown some positive effects of black pepper in treating rheumatoid arthritis. Keep in mind that since the most common application is through the use of creams and lotions, the relief is only temporary and needs to be used frequently to maintain pain relief. 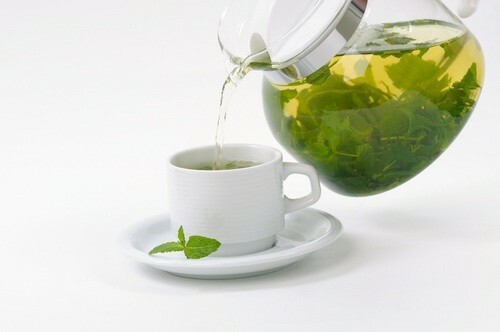 The polyphenols in green tea are known for their joint-protecting and anti-inflammatory properties. But, it’s not just the polyphenols that are thought to help out RA sufferers. It’s really the antioxidants found in the polyphenols which are thought to suppress the immune system. The Problem? While green tea has shown positive effects on inflammation and immune system disorders, the vast majority of the evidence has been shown only in animal studies. The Verdict? We’ll hold out for more concrete results on humans. In the meantime, enjoy a cup of green tea – it won’t hurt anything. Though, we’re not yet convinced you are able to drink enough of it to get continuous adequate RA relief. You might float away first. Garlic is a tasty addition to many meals and a potential source of relief for RA as an anti-inflammatory agent. What’s thought to aid relief when bringing garlic into the picture? Garlic helps to suppress the production of pro-inflammatory cytokines, and if inflammation is prevented, the progression of arthritic joints and the resultant symptoms will be reduced. The Problem? Once cooked, garlic loses most of its punch. And, let’s face it, how many people do you know that go around eating a bunch of raw garlic? The Verdict? 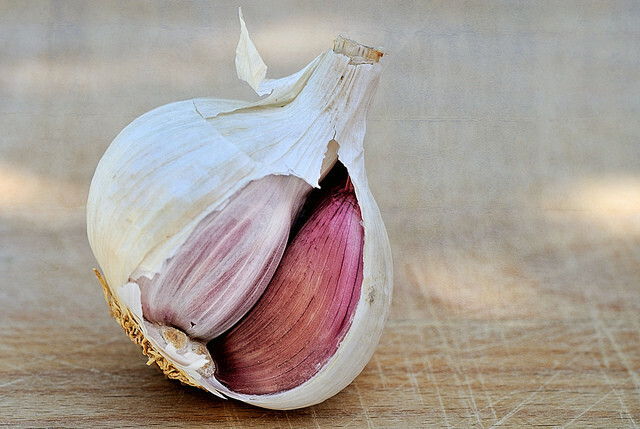 If you’re adventurous enough (and hate your taste buds), you can try raw garlic. But, we definitely don’t think it’s the best idea. 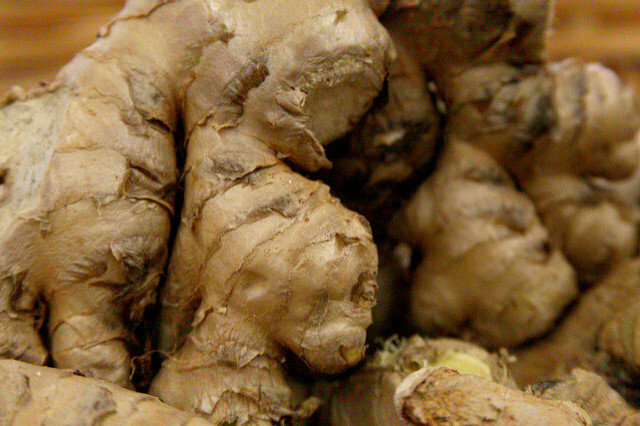 Ginger has been known to be helpful for a lot of things, especially nausea. What’s the one thing your mom whipped out every time you were feeling sick to your stomach when you were little? Ginger ale. Go figure. It’s also been shown to help alleviate morning sickness in pregnant women, and it’s noted to have anti-inflammatory qualities to alleviate arthritis symptoms. Elements in ginger have been found to reduce the action of T cells, which are those cells which are going around attacking your healthy cells. The overall result is a decrease in systemic inflammation. The Verdict? As with most of these home remedies, the quantity is what’s going to be holding you back from true relief. So, What’s the Overarching Verdict So Far? Ambivalent at best. It will be very difficult and time consuming to eat enough ginger, green tea, black pepper, etc. to truly alleviate your RA symptoms in the most optimal way. By the time you ate enough cinnamon (or any of the other herbs and spices mentioned above) stiff joints might not be your only concern anymore. So, now what? 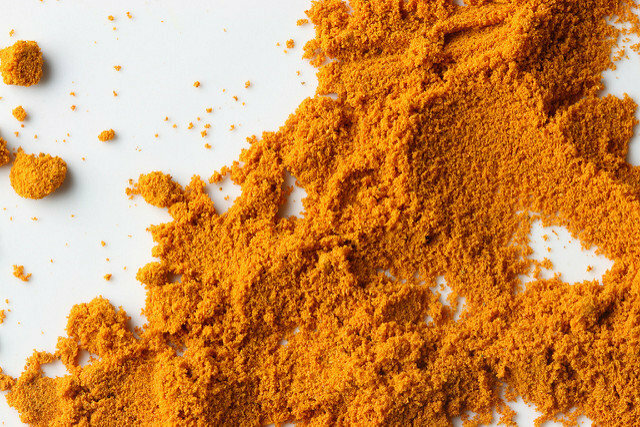 You’ve probably used turmeric while cooking before – it’s a yellow spice that most people associate with curry dishes. Know what it reminds RA sufferers of? Relief. It’s true that turmeric is another anti-inflammatory agent. But, what makes this remedy a little different is that you’re not just ingesting turmeric. It’s the lab grade organic turmeric CO2 extraction that is the key player here. We’re talking about the extraction of pure turmeric into a pill or oil form. Know what’s great about this? You don’t have to worry about the dosage of eating a bunch of curry. You can take a pill or rub some oil that has the optimal dose for relief of your RA pain. In its un-extracted form, we’re talking about the spice, the herb. The same thing you flavor your dishes with. And, truthfully, in this capacity, it probably has similar effectiveness to the other six natural remedies mentioned above. With CO2 extraction though, you’re extracting the most pure form of turmeric (i.e., no fillers), to aid in your relief. What’s the benefit of extraction? It preserves the valuable antioxidants found in the turmeric. In addition, CO2 offers a clean form of extraction, free from solvents. With this method, there are no additives, no fillers, and no artificial ingredients. To make it even more interesting, you can opt to supplement with a natural additive which will optimize your RA relief two-fold: boswellia serrata. 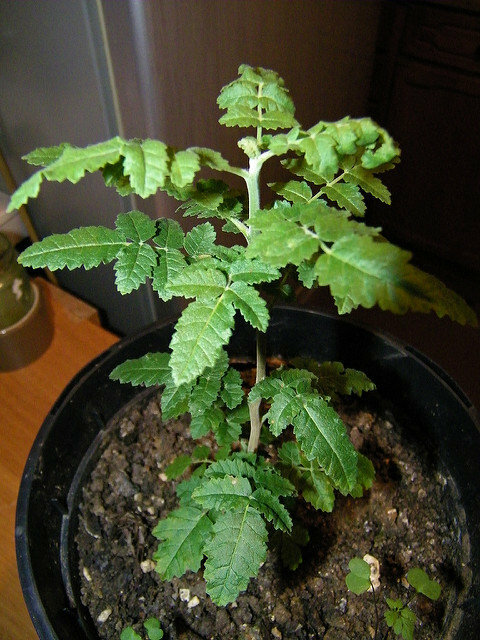 Boswellia Serrata is the plant that produces frankincense. The most useful parts are found in the resin or sap from the plant. The resin of frankincense is an anti-inflammatory agent. When you combine lab grade organic turmeric extracted through CO2 methods with bosellia serrata, you’re giving your RA a one-two punch in the way of relief. There are a lot of extremely inferior products on the market. Still worse, many of the cheap herbal supplements found in Amazon.com and on the shelves of local drugstores are not inspected by third party regulators with FDA oversight. The majority are selling weakly concentrated ingredients, and there is growing concern that many products are testing in the danger zone for toxic chemicals and fillers. Below are two companies that we’ve tested and found to produce lab grade turmeric and boswellia serrata. Their cost is higher due to the quality of ingredients and their strict self-imposed testing standards. Still, the cost is small compared to prices of pharmaceuticals. Have other products that you’ve found to be highly effective? Please contact us! We’ll review them, have them tested by our university researchers, and add them to the list if they are lab grade and free of toxins or other harmful fillers.